The Los Angeles Dodgers have announced the players they will be placing at the Single-A Great Lakes Loons this season. The 2014 Loons roster has plenty of prospects listed by Baseball America and MLB.com, and plenty of top draft picks by L.A. in the last few years. Pitchers Zachary Bird and Victor Arano, catcher Kyle Farmer, outfielder Jacob Scavuzzo, and infielders Justin Chigbogu and Jesmuel Valentin are sure to impress fans at Dow Diamond this summer. Some other notable additions, such as outfielders Alex Santana and Joey Curletta, and pitchers Jacob Rhame and Brandon Martinez are young prospects who could contribute to the Loons this season also. Great Lakes also has 12 players returning that have played in Midland in the past. Pitchers Bird (’13), Brandon Martinez (’12-’13), James Campbell (’12), and Jonathan Martinez (’13), catcher Webster Rivas (’13), infielders Paul Hoenecke (’13), Brandon Twinkwon (’13), and Delvis Morales (’12), and outfielder Malcolm Holland (’13). 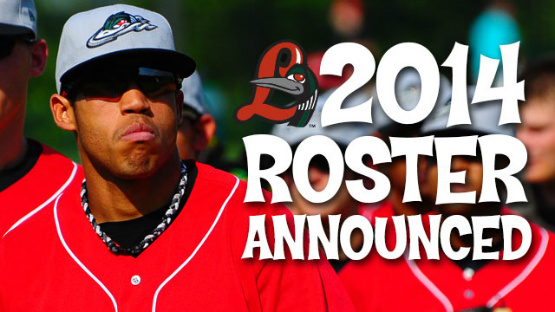 This seasons’ Loons roster also features some baseball legacy, as three players are sons of former Major Leaguers. Dillion Moyer is the son of former pitcher Jamie Moyer, Jesmuel Valentin’s father is former Dodger infielder Jose Valentin, and Greg Harris(Jr.) is the son of big league hurler Greg Harris. This season’s squad will be led by 13-year major league catcher Bill Haselman, who managed the Inland Lakes Empire to the California League championship last season. This seems like a very experienced team for Single-A, and Hasleman has a good chance of success this season in the Midwest League. We don’t have any concrete plans to see the Loons this season yet, but I’m sure we will. There’s a chance we’ll see them play on April 13th, but a lot has to do with the weather and how the Whitecaps’ game goes. I guarantee we’ll be at Dow Diamond at some point this summer, though!